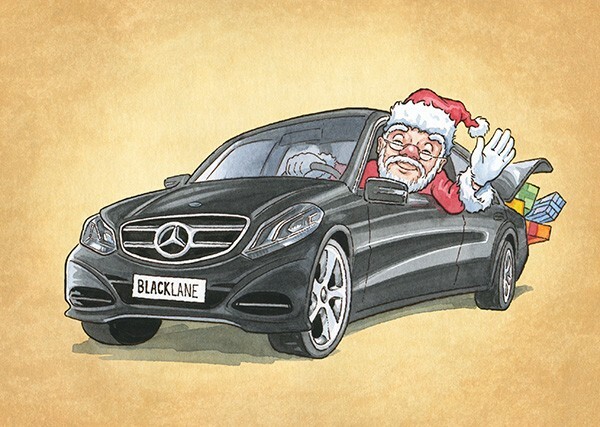 Blacklane GmbH is a company based in Berlin which provides a chauffeur portal connecting people to professional chauffeurs via their mobile app, website and hotline. 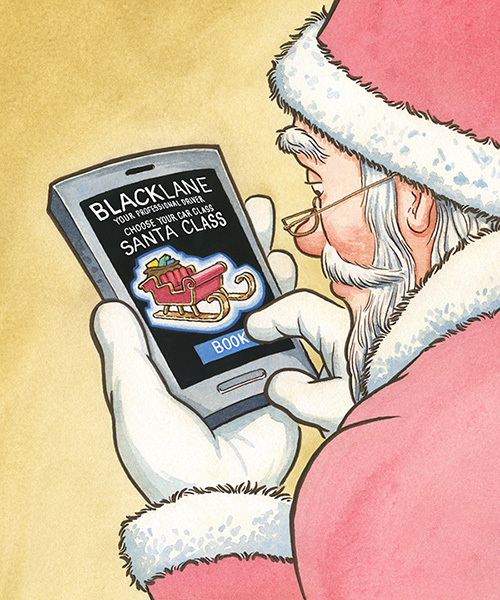 They wanted a Christmas card to show Santa booking his Christmas ride using their app on his smartphone. The second image is the card to be distributed to their drivers. The challenge here was to make a current model Mercedes E-class look cute.